Simply click on the existing labels and a text box will pop up. Here you can type in whatever you want the label to say. For example, you could change it to numbers, or levels of comfort...etc. 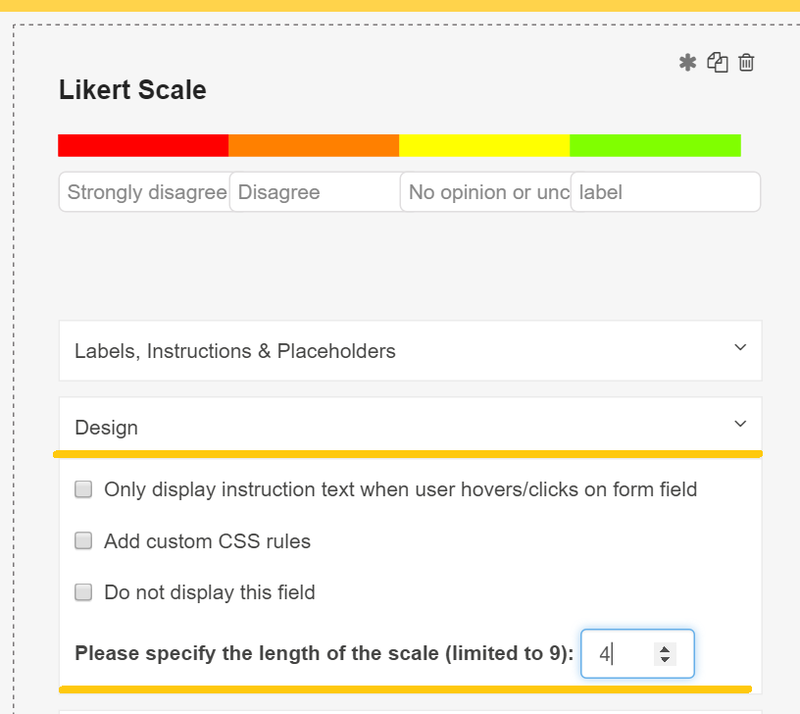 Click on the field, scroll down to the design menu and indicate the length of the scale. The highest number you can set it to is 9.